Reduce waste with our angled reusable silicone straws, ideal kids, parties and everyday waste-free sipping. Stainless steel with a gold accent makes our reusable straws ideal for holidays, parties, gifts and family gatherings. Stainless steel with a copper accent makes our reusable mini straws ideal for holidays, parties, gifts and family gatherings. Reduce waste with our 4-pack of mini reusable stainless steel straws, ideal for cold drinks, birthday parties and dinner cocktails. Reduce waste with our reusable stainless steel straw and straw brush, ideal for cold drinks, fruit smoothies and dinner party cocktails. Extend the life of your reusable straws when you use this slim brush for a thorough cleaning. Our moisture-resistant ice pack is made from recycled plastic bottles! Ideal for lunch boxes, keeping baby bottles cold, and handy for boo boos. 4.5" x 6.5"
Our clear gel insert replacement fits inside all of our moisture-resistant ice pack covers. Covers sold separately. The soft tip and durable scrubbing bristles reach hard-to-clean stainless steel bottle interiors. Replacement lid only fits our original 50oz square containers (without etching on container base). Replacement lid only fits our original 25oz rectangle containers (without etching on container base). Set-of-three replacement lids fits all of our round nesting trio containers. 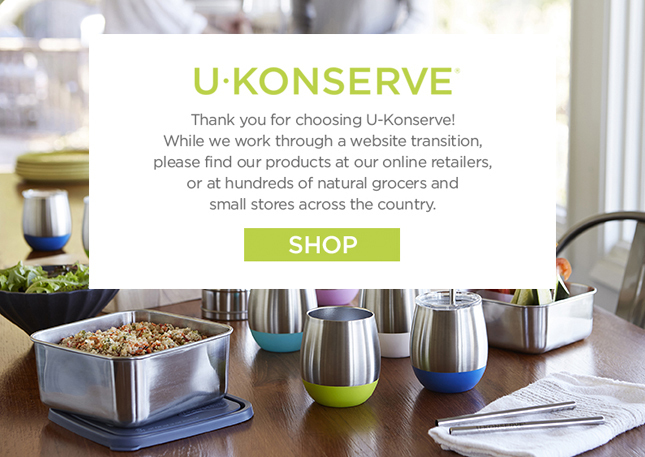 Our eco-friendly food-storage products and accessories for the home make waste-free living and meal prep easy. Shop our online store for our reusable food wrap, a pack of stainless steel straws or a bamboo fork and spoon utensil set. We also offer a selection of replacement food-storage container lids.